Publix raises $786,000 for sick kids in our community! Congratulations to Publix for their amazing contribution to Johns Hopkins All Children’s Hospital. During their recent campaign they raised over $786,000 for sick kids in our community. 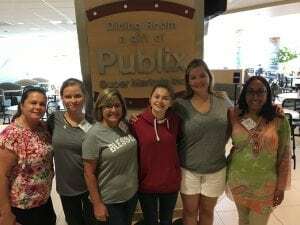 We are grateful to Publix, their associates and generous customers for delivering more miracles to children receiving care at Johns Hopkins All Children’s Hospital.